Manjima Mohan speaks to TNM about 'Mikhael', where she co-stars with Nivin Pauly, her upcoming Malayalam remake of 'Queen' and more. For the daughter of veteran cinematographer, Vipin Mohan (a mainstay in all Sathyan Anthikad films), acting seems to have been the natural choice. After making her debut as a heroine opposite Nivin Pauly’s Oru Vadakkan Selfie, she was quite unprepared for the next offer that came her way—Gautham Menon’s bilingual (Achcham Yenbadhu Madamaiyada opposite Simbu in Tamil and Sahasam Swasaga Sagipo with Naga Chaitanya in Telugu). Despite making a very confident debut in Tamil and Telugu, Malayalam filmmakers haven’t really pursued her. This year, she has two releases coming up—Zam Zam, the Malayalam remake of Queen (also being remade simultaneously in Tamil, Telugu and Kannada with other actors) and Haneef Adeni’s action thriller, Mikhael, which has Nivin Pauly in the titular role. In the NTR biopic, she played Bhuvaneshwari, NTR’s daughter. 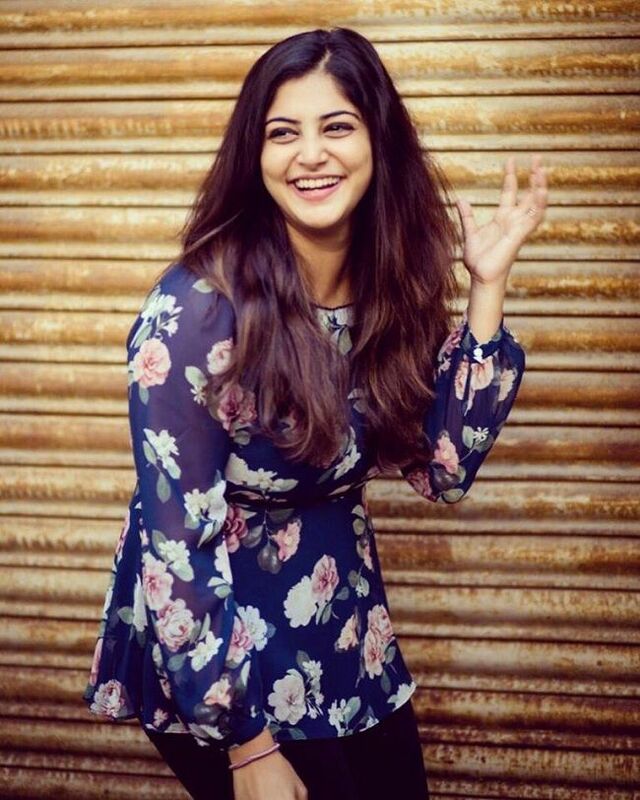 Articulate and confident, Manjima Mohan speaks to us about her priorities, the definition of strong female characters and being unhappy about the lack of offers from Malayalam cinema. What was your first thought when Zam Zam came to you? Honestly, I didn’t have the time to think so much. I went and met them, and they had already fixed the other three heroines. I didn’t have anything else at that time. It’s only after I took it up that I realised this was a huge responsibility. And what was the brief? The only difference is that she plays a Muslim character. And for precisely that reason, we couldn’t show a lot of things that were there in the original. The boundaries were set. Otherwise everything else was the same. What aspect of Queen did you like? I like how she grows as a person from such a personal loss. That break-up opens a new world for her. For someone whose life was restricted to her family, friends and college, this was a huge leap of faith. It’s an alien, scary territory, and yet she makes the most of it, while continuing to be rooted. By the time, the boy comes back, her thought process has taken a 360-degree turn. I think I was so much into the character that by the time I reached the hotel, I was blank. How come Mikhael is only your second Malayalam film after Oru Vadakkan Selfie? Yes, I am very upset about that as well. I grew up watching Malayalam cinema and the initial plan was to settle down in Kochi and do only Malayalam films. But it never happened. In Malayalam, I would probably be choosier than I am in other languages. To be honest, I don’t have a very important role in Mikhael. This is a great team that has delivered superhits and Nivin was a major factor. Are the decisions your own? I don’t go by a third person’s opinion. At the end of the day, you are the one who is going to the workplace and if you are unhappy with the team, it will affect your work. I do take opinions, but the final decision is always mine. You grew up in cinema…was cinema the obvious career option? I knew this is what I wanted from the beginning. My dad was clear about me finishing college as he felt he wanted me to have a backup plan if this didn’t work out. Did you enjoy acting as a child actor? I don’t remember. I was too small. How did your first film come to you? It was not an accident. I was in my third year of college and I had told Vineeth Sreenivasan about my interest in pursuing acting. In three months, he said there is a script that he thought will be suitable for me. Do you remember your first shot? I don’t remember as I was having panic attacks. On the first day, he kept it simple with montage shots. You must keep learning and improvising. To this day, that first shot continues to be a scary memory for me. I thought it was a prank as I was planning to go back to studies after the tepid response to my acting in Oru Vadakkan Selfie. I was told to quit on social media and was quite shocked by the bad reviews. I was about to sign two Tamil films but then I called that off and took this up. I remember feeling panicky on the first day of shoot with Naga Chaitanya. Do you take the trolls seriously? I used to, but not anymore. Now if I don’t see a troll about me then I am worried. But I make it a point to reply to the nastier ones, especially if it has hints of body shaming or something about my family. Are you an actor who believes in doing homework? Not at all. In fact, that’s the first lesson Gautham Menon gave me. He said, unless you have to physically prepare for a role, don’t come prepared. I learn the lines and then act. Anyway, I don’t do the acting before the mirror routine. I think better roles are being written for women and the audience is also accepting them. I would love to do roles that leave an impact with the audience. I think great female roles needn’t always mean it should be in a woman-centric film. Look at Naanum Rowdy Thaan—both actors made an impact, stood on equal ground. In Achcham Yenbadhu Madamaiyada, despite Simbu being the main hero, my Leela is still recalled with affection. I grew up watching my dad’s movies with Sathyan Anthikad a lot, the Mohanlal-Sreenivasan ones. Funnily, I loved to watch more serious films, the weepy ones. I like Mohanlal, Sreenivasan, Fahadh Faasil. In Tamil be it Vijay Sethupathi, Dhanush, Vijay, Surya, no one is following anyone here. Everyone is creating their own path. I am in awe of Nayanthara who came from another state and is one of the biggest actors in Tamil Nadu today. Do you see any changes in the industry post the #Metoo moment? I really don’t know. Never had a #Metoo moment. Some of them were valid, some weren’t, and some made use of that tag. I have not heard or experienced it. It did create a lot of turbulence at that time. Have you always felt secure on the sets? I can pick up negative vibes very well. I commit to a film only after doing through research about the team. And you look at it this way. Today, technology is such that you can record anything anywhere and immediately put it out to the world. I’m clear with my intentions. I take pack up a little too seriously. What are the kind of films you want to be part of? It’s quite funny but I haven’t figured that out. I am not partial towards any particular genre of cinema. I am open to commercial, indie or offbeat movies. Whatever comes first I will do it. It’s only been three years since I have been around. One thing I do know is that I don’t want to do the same kind of roles. Let’s see?